Macadamia nuts are my absolutely no-doubt-about-it favourite nut! They also seem to be about the most expensive, though. However, I recently discovered that we have an organic grocer nearby and they have bulk bins (unlike the supermarket) and their nuts and pretty much everything else are very well priced. So I bought some Macadamia nuts! I decided that some of the nuts should be used for at least one other thing than me just eating them plain, so I made White Chocolate and Macadamia cookies last Thursday night. Ben was out for the evening helping our friend Rick with some computer stuff, and I was playing online scrabble with Ben’s cousin Hannah, so I wasn’t paying enough attention to the cookies and they got a bit brown. But not too brown to be delicious! Too bad you can play Scrabble online, but not eat white chocolate macadamia cookies fresh out of the oven online, too. Someone should work on that. Hey, maybe next time we do the Scrabble we can also prearrange what we’ll eat and drink while we play. Have coffee and the same kind of cookies. (BTW, I don’t know that I especially like macadamia nuts by themselves–or white chocolate that well, either–but they do, as you say, make delicious cookies.) …Have a great Wednesday! Just checked out a couple posts on Rick & Susanna’s blog. Fun to hear you mentioned and see pictures of you on their site. Looks like you’re making some good friends, and we’ll enjoy meeting them when we can visit you there. And how does that fit in your $100 food budget? I hardly ever blog about stuff on the same day I do them! this online scrabble stuff is sounding more interesting if the two of you are playing. Do I have hopes of joining? Of course! I’ll see if I can set up a game with you. I would love a Scrabble game, too! Several things. One, now I know what souvenir to get you from Hawaii. Two, I love playing scrabble, I will bring my travel game to work, in hopes that you will drop by. 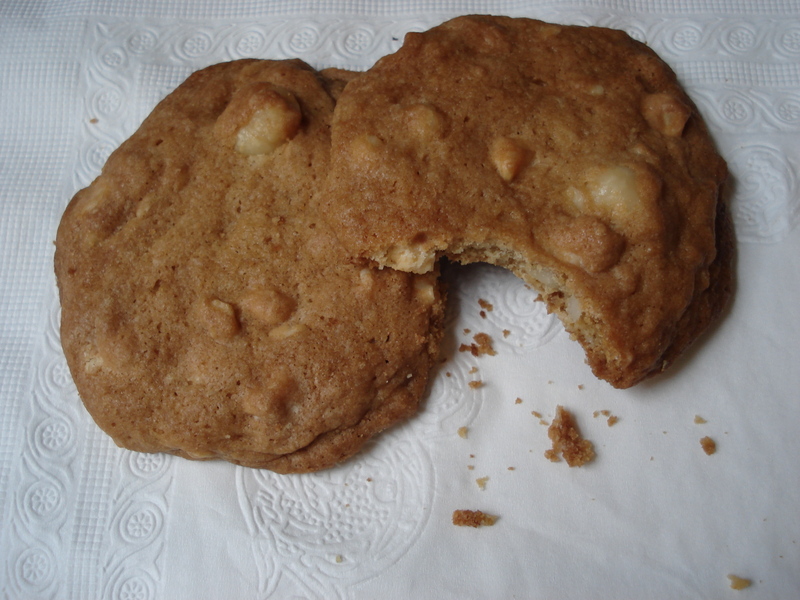 :) And three, I loooooooooooooooooooooooooove white chocolate mac nut cookies!! You are putting me in the mood to bake! Would you like some of the “fruits of my labor”?